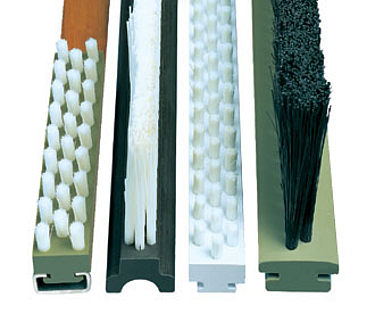 Many of our customers go for our standardised plastic cores for our lath brushes types 36 and 48, which offer advantages regarding the price and the availability. The plastic cores are available in PVC, PP and PE. They can be equipped with almost all fill materials, with your desired or our recommended trim height (BH) and fill configuration.Furthermore, by using these standard cores it is possible to produce lath brushes with special surfaces. - stepped (different trim heights (BH) in one brush). - inclined bristles lengthwise or in cross direction.